"Just Waitin’, the excellent recent release from the Steve Krase Band, finds the Houston-based Krase in great form as the harmonica master tears through an entertaining, wide-ranging ten-song set of tunes that span blues, roots, Americana, and even a wicked shot of Zydeco where you might least expect it. Just Waitin’ is a barrel of fun from start to finish. This disc will certainly please blues fans who may not be familiar with Steve Krase. They will definitely be looking for more of his recordings once they hear this one." "If the harp blues is close to your heart, then this album should be on your CD player. This is a great album that I can unequivocally recommend to all fans of good blues." "Just Waitin' delivers an interesting mix of love and heartbreak. But no matter the subject, it's a pleasing, good-time package of tunes that will keep you up and dancing." 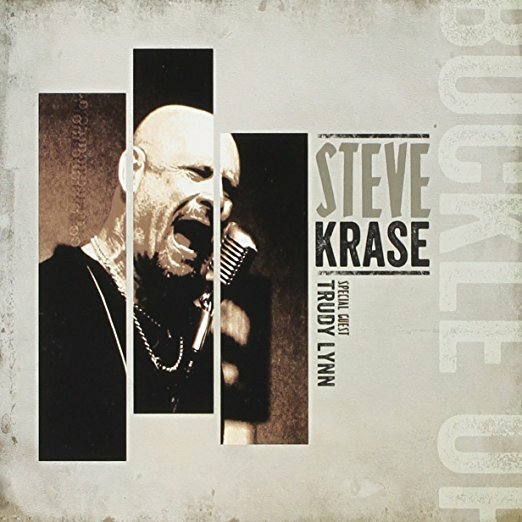 "Just Waitin’, the excellent recent release from the Steve Krase Band, finds the Houston-based Krase in great form as the harmonica master tears through an entertaining, wide-ranging ten-song set of tunes that span blues, roots, Americana, and even a wicked shot of Zydeco where you might least expect it." "As remarkably produced as it is played, this is undoubtedly one of this year’s greatest blues recording!" 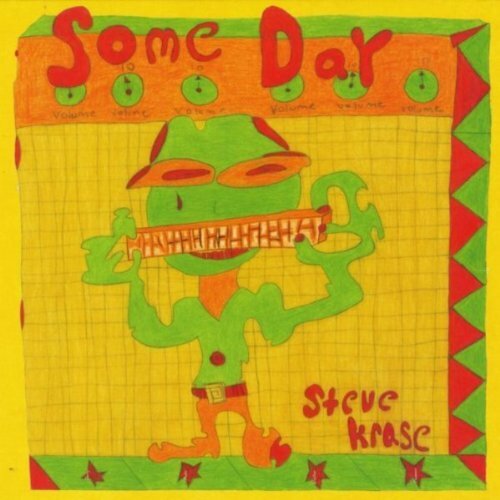 "A Houston-based harmonica player, Steve Krase must have been having a whole lot of fun when he made Just Waitin', which definitely is not what he and his pals are doing here. They've thrown themselves heart and hand into some joyous music-making, mostly blues but also country and Cajun, usually given a jittery rockabilly edge which throws the listener, consciously or otherwise, into like motion.​"
"Give this record a listen and hear what all the buzz is about. Good stuff!" "Steve Krase has been laying his Blues down on record for over a decade. A mainstay on the Houston Blues scene, it is great to hear such joyful and effecting Blues based music coming from post-Harvey Houston. Krase has taken his Blues in a new direction with Just Waitin’, a joyful celebration of life and survival, just like his City, and just what his City needs." "Just Waitin’ is a fun tour through blues, rockabilly, and zydeco. Every song on the album has a timeless, post-1960s rock/blues sound. The only tell this album was recorded in the past decade is the crisp production. Other than that, Just Waitin’ could very well have been sold, via mail order, between Beverly Hillbillies commercials, during its original run." "World-class harmonica player Steve Krase expands his blues music into new territory. Just Waitin' is a wild mix of classic blues, swing and obscure covers." "Houston-based harmonica master and frontman Steve Krase‘s new album —Just Waitin’— proves that the blues are, in fact, a celebration." "From Steve’s heartfelt vocals to his hot harmonica work, Just Waitin’ is a blues treat." "Party tricks aside, Krase once again delivers plenty of energy, injecting some new life in a couple of Howlin' Wolf numbers." "A harmonica ace that that has cruised the blues world ain't no white boy with the blues here, even if he shows his appreciation for the blues by covering some Howlin' Wolf, he's a roots rocker all the way here. Showing a sense of humor in covering "The Ballad of Jed Clampett", if you want to have a rocking party, you can feel the Wanda Jackson debt being paid here. Solid jumping, jiving and honking throughout." "When we observe the variety of instruments, we understand the originality of the formatting in a disc where we go from Howlin 'Wolf and Big Walter Price to zydeco! A cure for boredom." "The ten cuts on [Just Waitin'] offer up some fine examples of blues mixed with a touch of roots, rock and roll, and even a blast of zydeco! The Steve Krase Band takes the traditional blues into all-new territory with “Just Waitin.” And, it’s guaranteed to get you outta your seat and on your dancin’ feet!" Should've Seen It Coming is listed on another best of 2017 blues music list!